Decorating a tree doesn't have to be boring or intimidating! The key is to use your imagination to come up with ideas that will reflect your interests and personal style. There isn't really a right or wrong way to put up a Christmas tree, but there are some holiday decorating ideas that will make the task a little easier and result in an exceptionally stunning display. As the base for your design, it is important to select a Christmas tree that fits with your style and can properly display your ornaments and embellishments. Artificial trees come in many shapes and sizes, so no matter what your space will allow, you can find what you need in an artificial tree. Slender, medium and full shapes will determine the width of the tree. 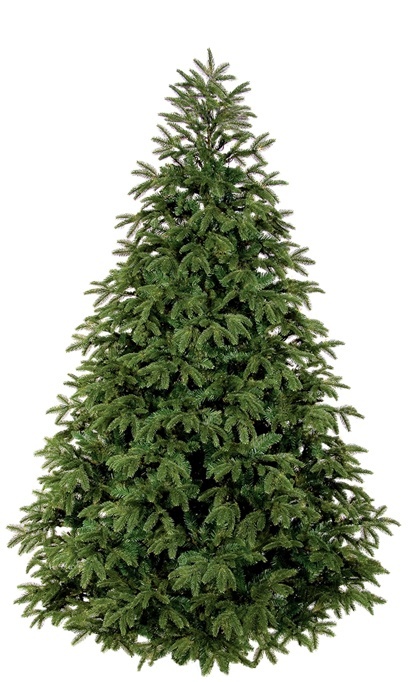 You can pick a standard tree featuring all one needle type which has been around for many years or a mixed needle tip tree which includes a mix of tips that are molded from real trees to appear more life-like. When browsing tree designs, look for evenly-spaced branches and a symmetric shape that tapers toward the top. The key to a beautiful artificial Christmas tree is taking the time to ensure that each branch is shaped consistently throughout the tree. When setting up your artificial tree, alternate the direction of the branches while spreading them out to achieve a more natural display and full appearance. The advantage of artificial trees is that you can spread out and reshape the branch tips to your desired location to hang ornaments. 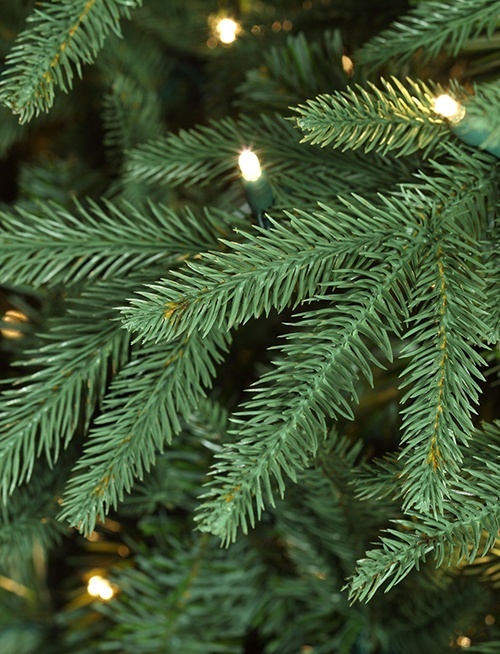 Prelit vs Unlit Christmas Trees, Which Should You Choose? 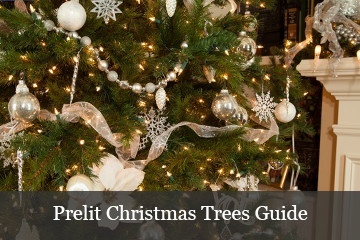 The choice between a prelit or unlit Christmas tree often comes down to two things: the amount of time you want to spend decorating your tree and the amount of customization you are looking for. 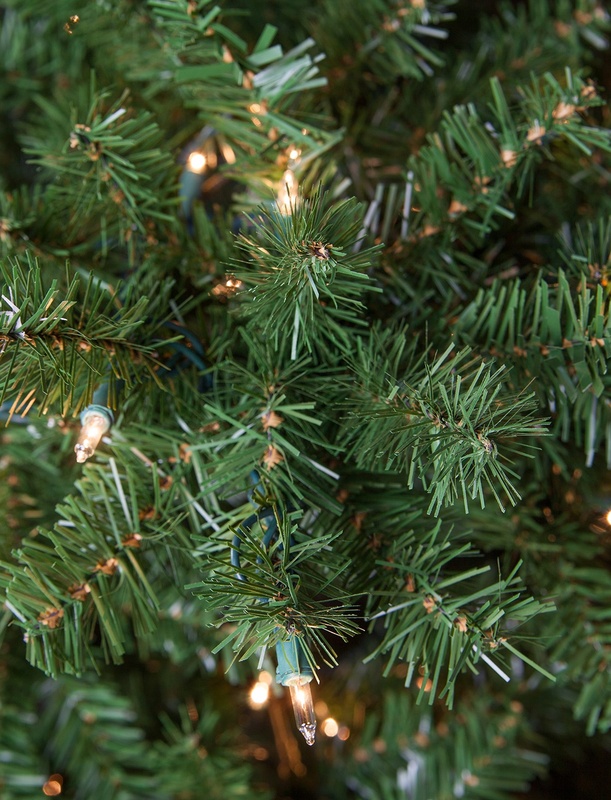 Prelit trees are available in incandescent and LED light varieties with clear and multicolor options. So, if you aren't looking for a customized light color and want to decorate your tree quickly, a prelit tree may be the best choice for you! On the other hand, unlit trees provide a blank canvas for your creativity to take center stage and allow you to change the light colors year after year if you like. This versatility makes unlit trees a popular choice for Christmas decorators with unique tree designs in mind. If you are short on time, consider that wrapping an unlit tree with lights is the most time consuming part of the tree decorating process for most people, so if you can skip that step, you'll be able to spend more time and energy on decorating your tree. 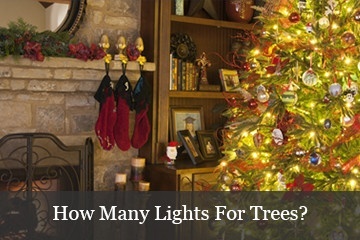 However, if you do choose an unlit tree and plan to wrap it with lights, you may find our light calculation page beneficial for determining how many light strings you will need! Decorator's Tip: Add novelty lights over top of the existing lights on your prelit tree to create a one-of-a-kind lighting design. Bonus tip! Always decorate your tree with the lights on just in case a problem arises. It is much easier to fix lights while adding them rather than when the tree is completely decorated. Sticking to one color scheme will make your tree look cohesive and complete. Think about the room your tree will be displayed in and try to pick colors that won't clash within the space. You can take inspiration from our popular tree decorating ideas below or come up with a design all your own! Classic Christmas- red, white and green. Accent the tree with red, green and white ornaments, garlands, picks and ribbons. Create a shimmering effect by incorporating a metallic color like gold or silver into the design. If your tree is prelit with clear or white lights, add a pop of color that coordinates with your theme by wrapping a few strands of red and green string lights around your tree. Treat these specialty lights like you would an ornamental garland and place them accordingly. Winter Wonderland- blue, silver and white. Find inspiration in the glittering landscapes of Christmas time and create your own snowcapped trees inside! Use a combination of our favorite themed decoration ideas below to bring your winter wonderland to life. Choose clear or blue lights - or both! Wrap your tree with a few strands of twinkling clear mini lights over top of the base lights for extra shimmer - just like falling snow! Use only white, clear and silver decorations, for an elegant winter white wonderland themed tree. Add in decorative crystal picks or snow covered twigs to create a natural look. Hang only snowflake ornaments. Metallic Accents- gold, silver, copper and bronze. Metallic colors are easy to mix, and you can play with one, two or all of them. 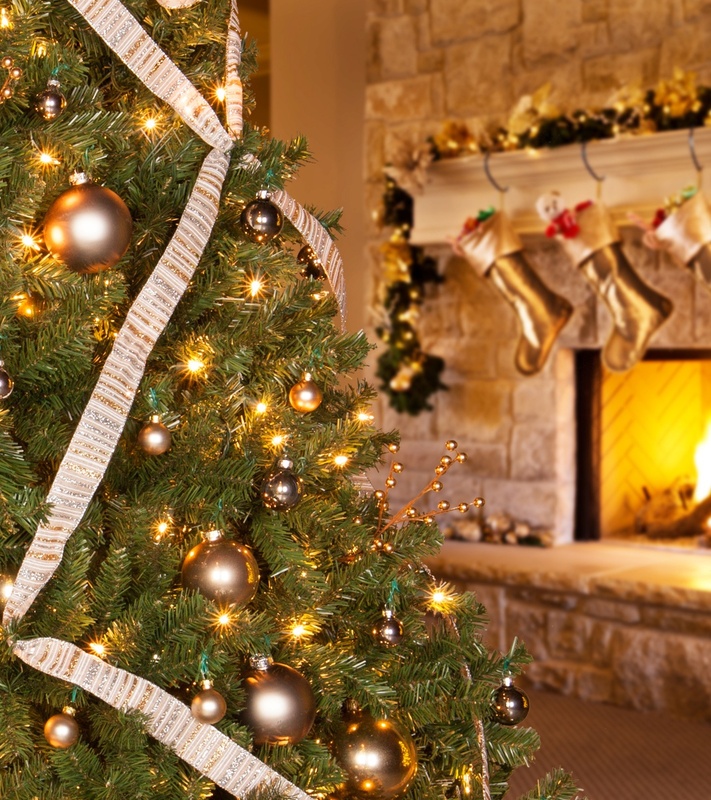 Christmas Tree Themes- Some people select a specific theme for their Christmas tree, such as rustic/lodge, animals, snowflakes, all crystal decorations, etc. Choosing a theme opens up multiple possibilities for decorating and incorporating other items into your collection. If you tend to collect ornaments that are centered around a particular theme anyway, this could be a fun way to decorate your tree and expand your collection. After your lights are up, you can wrap your tree with anything else that should go on beneath the ornaments. What you choose to use will depend on your personal taste and the theme or color scheme you have picked. If you want to put up a ribbon garland, choose a sturdy mesh or wire edged ribbon which will hold its shape instead of flopping over. 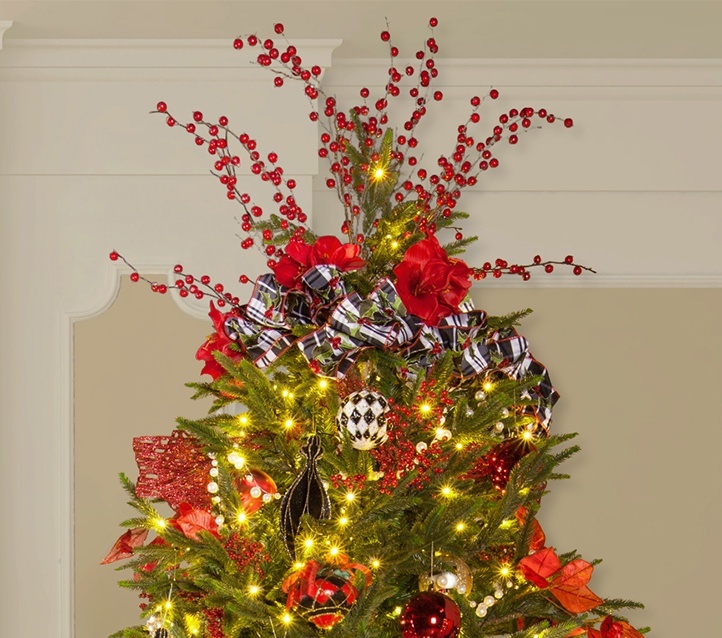 To complete your design, top the tree with a large ribbon bow for a coordinated look. Start about 8" down from the top of the tree. Use floral wire or twist branches together to attach the garland to the tree. Run at an angle around the tree when complete it should look like a corkscrew pattern. Decorative picks and floral stems are typically made out of a sturdy wire or plastic with flowers, beads and various adornments at one end. To decorate your tree, you will need different lengths of picks. All trees taper so if you tried to use very long picks on the bottom as well as the top the ones on the top would stick out too far. You can buy all the same size picks and cut some to a shorter length with wire cutters so that you can layer from top to bottom. Start with the largest and longest picks near the bottom of the tree. You can combine multiple types of picks by stacking them into the branches on top of each other. If you want your picks to be more secure, wire them together with floral wire then attach them to the tree branches. Next, add the medium length picks and finish with the shorter picks towards the top of the tree. 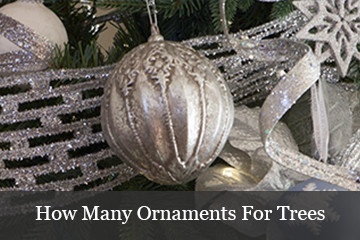 Maybe you've already collected ornaments for several years, and you're planning on using those. If this is your first time decorating a tree or if you want to start over with a new color scheme, you can find a variety of ornament shapes and sizes in boxes of four, six, twelve or more. 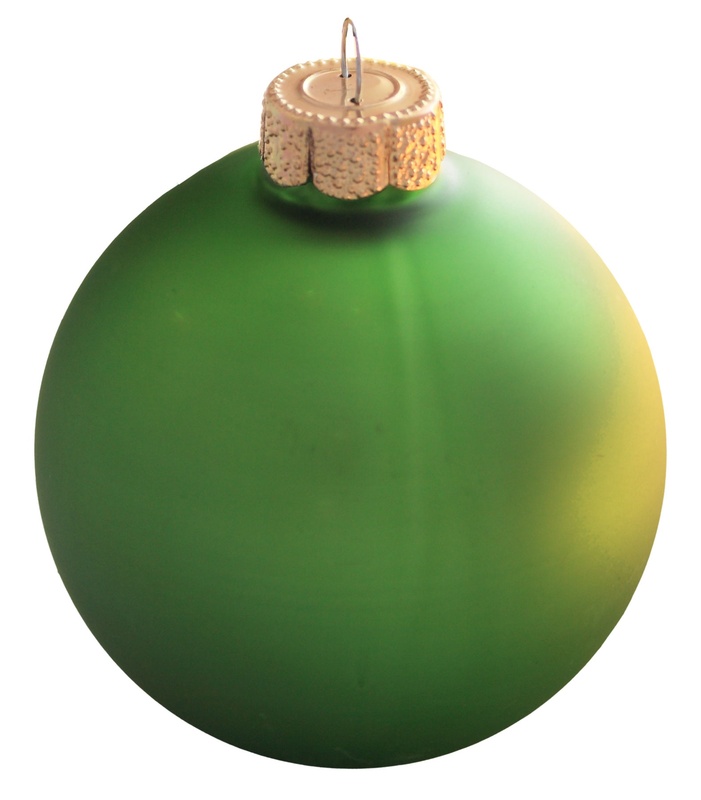 These bulk pack ornaments make up the base of most people's Christmas tree collection. Matte or Shiny ornaments? There's really no rule when it comes to choosing an ornament finish, but mixing finishes can be a great way to add diversity and interest. Pick one or two main ornament colors in either all shiny or matte, or one color matte and another one shiny. Silver and gold and other metallics are great neutrals to mix in as well. 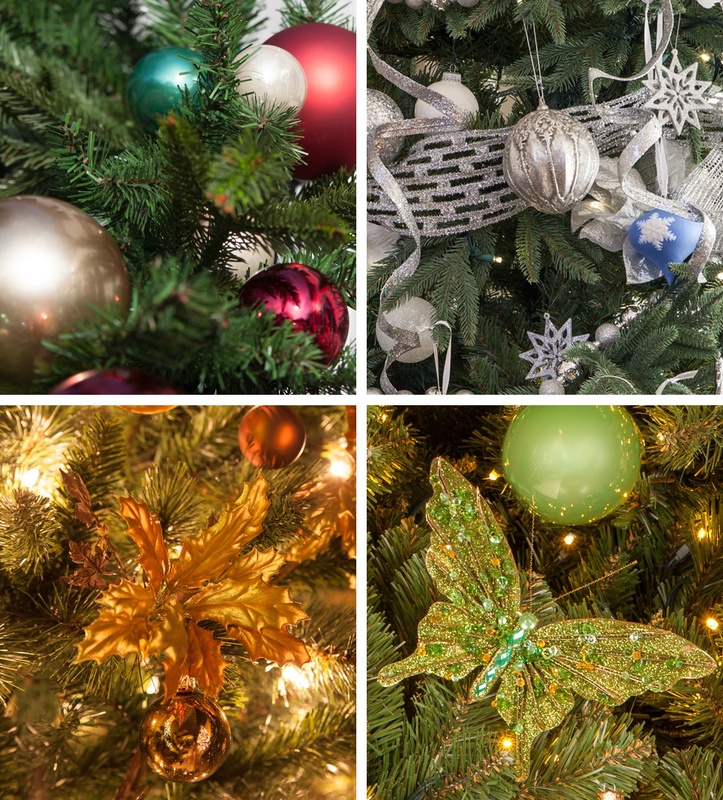 If you're decorating a single-color (monochromatic) tree, consider using a variety of ornament finishes, shades and tints in the selected color. 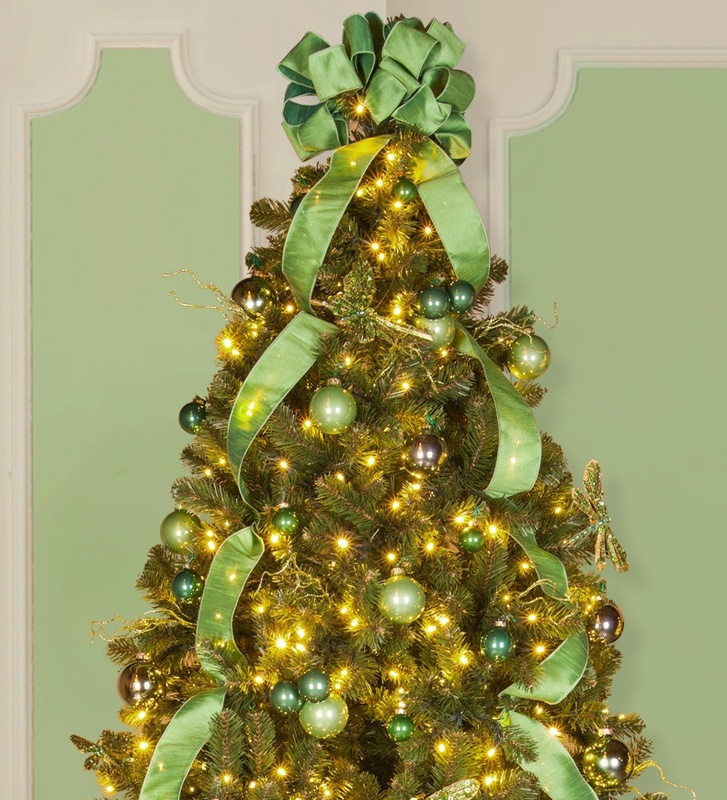 In short, don't be afraid to experiment with mixing colors, finishes and textures on your tree to make it your own! Before you place any ornaments on your tree, put them into piles. Arrange your ornaments in piles by color, size, materials or theme. Once your piles are complete place one ornament from each of the piles on each side of the tree. 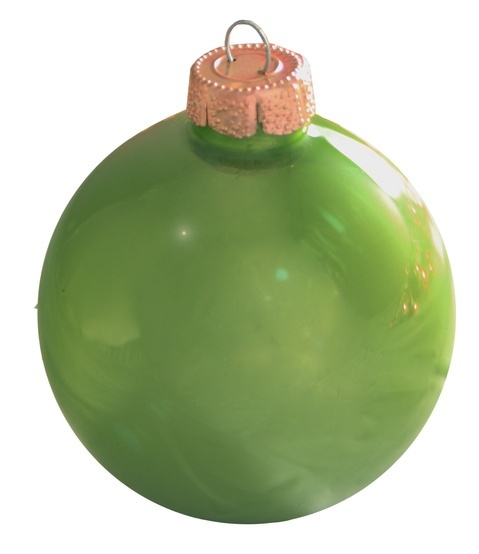 This can be 2, 3 or 4 sides depending on where your tree is placed in the room, so that all ornaments can be seen throughout the tree. Work from top to bottom when decorating your tree and try to distribute the ornaments evenly, but not symmetrically. 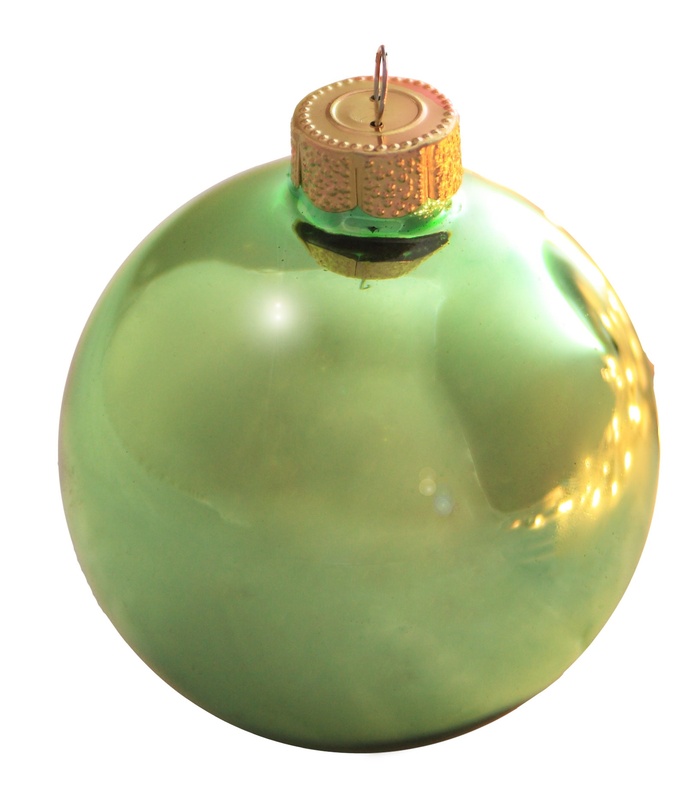 Remember to place some ornaments a few inches back into the branches, to give the tree depth. What kind of topper you choose depends on the theme and style of your tree. We've provided some of the most popular options below, however don't be afraid to branch out (no pun intended) and be creative! If using a ribbon bow tree topper, place the bow so that it is covering the tree tip at the very top. This will prevent the topper from looking like it is floating above the tree and instead create the appearance of being a part of the tree. If adding picks around the topper, come down about 8" from the top of a tree that is 6.5' or taller and 6" from the top of a tree that is less than 6' tall. Add long spiky picks around the tree at an upward angle first and place full and short picks a few inches closer to the top. Step back as often as you need to adjust the tree and place ornaments so that they are sufficiently spread out and uniform in style. Balance is the key to creating a truly spectacular decorated Christmas tree! The goal when adding ornaments and decorations to your tree is to make the texture and colors look random and prevent there from being spots where one color or decoration is used heavily over others.